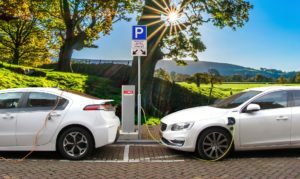 The Ontario government has just announced legislative changes dealing with electric vehicle charging systems (“EVCS”), coming into effect on May 1, 2018. The new Regulation ( https://www.ontario.ca/laws/regulation/r18114 ) will essentially permit condominium corporations under certain conditions to install EVCS without complying with all of the requirements of Section 97 of the Condominium Act, 1998. Section 97 of the Act requires notice or approval of owners for certain changes to the common elements, assets or services. in the reasonable opinion of the board, the owners would not regard the proposed installation as causing a material reduction or elimination of their use or enjoyment of the units that they own or the common elements or assets, if any, of the corporation. If these conditions are met, then rather than the typical requirements of Section 97, the board may simply provide notice to owners of the installation containing specific statements. The Corporation would then be able to proceed with the installation 60 days after the notice is provided. Alternatively, if either of conditions (a) or (b) are not met, then there is a procedure whereby the corporation would have to send a notice to owners (containing specified information/statements), providing the owners with 60 days to requisition a meeting under the Act to vote on the matter. Note that these provisions (as well as those for owner installations – see below) are worded to be ‘deemed’ amendments to the Declaration of every corporation. The existing procedure for an individual owner to install an EVCS would generally require compliance with Section 98 of the Act, which includes that an agreement be prepared and registered on title. This procedure also requires the approval of the board. Essentially, boards can reject any request at their discretion. However, as of May 1, 2018, the Regulation will exempt owners and corporations from Section 98 requirements in certain circumstances. The board must respond to the application within 60 days. (B) of damage to the property or the assets, if any, of the corporation. If the board approves the application, the board may impose conditions on the installation or require alternate methods of installation. Within 90 days thereafter, the owner and corporation shall take all reasonable steps to enter into a written agreement governing various aspects of the installation such as ownership, maintenance, repair and insurance of the EVCS as well as the cost of use and operation. The agreement is to be registered on title to the unit. Disagreements concerning most aspects of the foregoing, including both condominium and owner installations, are to proceed via mediation and arbitration. The form of Status Certificate will also change as of May 1, 2018. The new form is mandatory at that time and primarily is amended to make reference at paragraph 25 to EVCS matters. This has been a very broad overview. Specific legal advice should be obtained in dealing with these situations.